With another month of Android version stats released, Google's latest version of its mobile operating system saw predictable gains, ticking up a total of 2.4 points versus a little over a month ago. All other versions of the platform either held steady or declined, with Android 5.1 and 4.4 seeing the largest losses, at 0.7 points each. 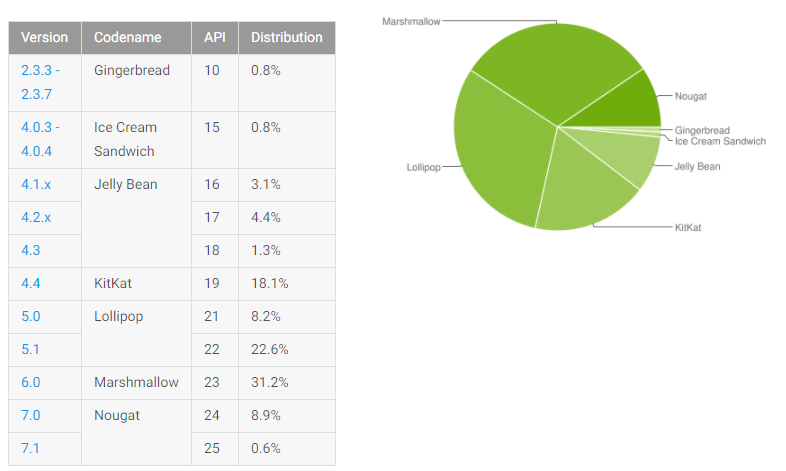 Android Gingerbread, Jelly Bean, and KitKat also saw minor drops, thought Marshmallow held steady at 31.2% of the pie. 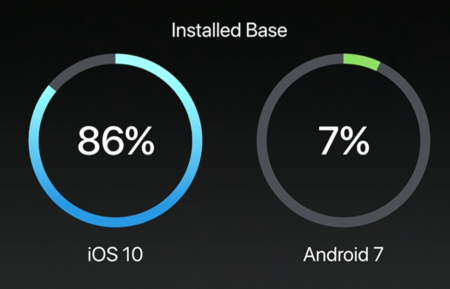 Today is an especially well-timed release of the monthly numbers given Apple's WWDC press conference saw Tim Cook take the annual shot at Android's OS version fragmentation. To be fair, Nougat is closer to 10% now.